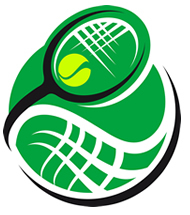 Player Evaluations for new players to be arranged with Phil Weiner, USPTA certified teaching Professional. Practice and matches will be held on Tuesday and Thursday nights from 6:00 to 8:00 p.m. at Calverton School, located at 300 Calverton School Road in Huntingtown, MD. There will be a total of 8 sessions on May 21st, 23rd, 28th, 30th, June 4th, 6th, 11th and 13th. Rainout make up date(s) TBD. Two matches will be played against teams from St. Mary’s County. Tentative dates are May 30th at Calverton and June 13th at St. Mary’s Ryken. Eight 2 hour sessions for $125 per player, 25% discount for a sibling in family, 50% discount for 3rd sibling. For successful training and match play, we need minimum 6 players for teams, 3 boys and 3 girls. For beginning and advanced beginner players ages 8-12. This group will receive more instruction, emphasizing proper stroke technique for forehands, backhands, volleys and serves. We will hit a lot of balls to practice skills being taught and may use green dot, foam balls. For more intermediate and advanced players, 14U players who have had previous instruction or have been in the program with Coach Phil or similar program. Format: drills, training, footwork, and stroke analysis for first hour, then supervised match play, and strategy for an hour. We will use regular balls. Tuesday sessions will consist of Drills, Training, Footwork and Stroke analysis for first hour and then supervised match play and strategy for an hour. On Thursdays, after stroke warm up, match play against other players in Junior Team Tennis, World Team Tennis, and other formats. Instructor: Phil Weiner, USPTA certified teaching Professional. Will be assisted by Bailey White, former Huntingtown High All SMAC player, and other coaches.